The late Stephen Hawking famously didn't believe in God. Neither does the renowned Richard Dawkins. But is that typical for U.K. scientists? In a new study, researchers from Rice University, Baruch College and West Virginia University find that scientists are indeed significantly less religious than the general population there. In addition, U.K. scientists at elite universities are more likely to never attend religious services than those at less prestigious schools. The study also indicates biologists are more likely to never attend religious services than physicists. "The Religiosity of Academic Scientists in the United Kingdom: Assessing the Role of Discipline and Department Status" utilizes data collected in a survey of biologists and physicists employed at elite and nonelite departments, as past research has suggested the distinction could be relevant in understanding differences in religiosity. The researchers were interested in how U.K. scientists, particularly elite scientists, compared to the general population with regard to religious beliefs. The researchers found that while only 18 percent of people in the U.K. said they do not believe in God, 45 percent of U.K. scientists responded the same way. In addition, the researchers discovered that scientists in elite departments (a categorization based on the number of publications per department, published department rankings and insider knowledge) are about twice as likely to never attend religious services than scientists in nonelite departments. 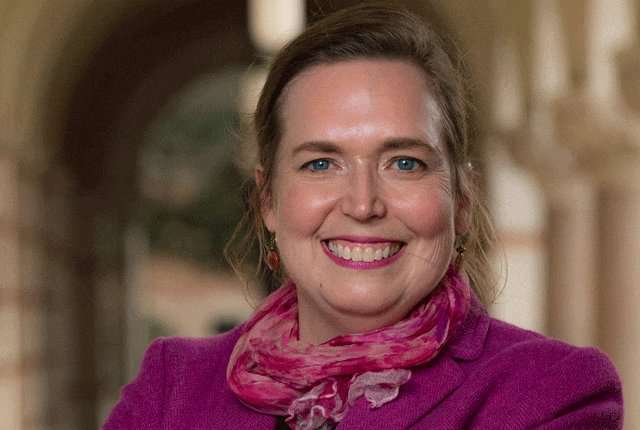 Elaine Howard Ecklund, the Herbert S. Autrey Chair in Social Sciences, professor of sociology, director of Rice's Religion and Public Life Program and the study's lead author, observes that that elite scientists represent the leading edge of the secularizing effects of science. "Individuals who are at the most elite institutions may disproportionately feel the cultural pressure to secularize," Ecklund said. "So, if those methods and mindset are inherently in conflict with religion, then these successful scientists would experience the greatest erosion of religious faith." "This distinction could have an impact on how the public views scientists, in a national context where some minority groups are bringing challenges to teaching evolutionary theory, for example," she said. "Elite scientists might express less religiosity because they assume that, as elite scientists, they are supposed to be or need to be less religious to fit a professional ideal," she added. "Because they might already be on the fringes of that professional ideal in the first place, nonelite scientists may feel less social and cultural pressure to further conform to it." Study co-author Christopher P. Scheitle of West Virginia University's Department of Sociology and Anthropology said this might also help explain why U.K. biologists are more than 2½ times more likely to never attend religious services than British physicists. "It is possible that U.K. biologists might be concerned that being seen as a more active participant in religion would violate some professional norm," said Jared Peifer, an assistant professor in the Department of Management at Baruch College's Zicklin School of Business. Ecklund added: "This norm might result from the history of public conflict surrounding issues like evolution and stem cell research, which are most clearly connected to the biological sciences." The researchers hope their work will help foster a better understanding of the social dynamics between religion and science beyond the traditional focus on the U.S.
"It is possible that U.K. biologists might be concerned that being seen as a more active participant in religion would violate some professional norm" - in other "news" the moon might be made of cheese. I cannot imagine anything less relevant to physics than Hawking's religious beliefs. Nor in the religious beliefs of other lesser lights. As it happens I share his beliefs, and Dawkins', but this is like asking a turtle what it thinks about quantum gravity. Worth mentioning that British beliefs about religion have roots going back to the failure of the Cromwellian protectorate, which burned people alive and got pwnt as a result. "Individuals who are at the most elite institutions may disproportionately feel the cultural pressure to secularize," Ecklund said. Individuals who are at the most elite institutions are smarter than the others and less likely to be fools who believe religious bullcrap. "Elite scientists might express less religiosity because they assume that, as elite scientists, they are supposed to be or need to be less religious to fit a professional ideal,"
I don't get this. As a scientist (much less as an 'elite scientist') you feel no pressure to conform to any ideal (because you know that such ideals mean f-all when it comes to...anything). Conformism is something that people need who are unsure of themselves. When you get to work in science you usually are well aware that you are good at what you do. It's not like you can get by with pretending to know what you're doing (like you can in so many other jobs), because your work is under constant peer review. It is a good thing that science is not biased either for or against. Its about finding the truth. Don't get emotional, just prove reality. Hmmm, over the span of 13.799 billion years, information came first. Information acted here and there on a Planck sized surface to create the holographic universe. Light flashed out of the 370,000 year old cooling universe. The plasma from the primordial hydrogen was seperated from the plasma of the first stars by 4 million years. There were seeds and green photosynthetic plants that contained eukaryote cell bodies. The ocean filled with life and then giant creatures after the Cambrian explosion 540 million years ago. Flying insects, crawling life inhabited the land. Diverse animal and plant life formed an ecology. Modern man shows up as wildly inventive homo sapien sapien and the Y chromosome bottleneck at 8 to 5 thousand years ago. (Richard Leakey jr Origins Revisited) Wouldn't there be an extremely low probability to find this listed in Genesis? How is "study of mass psychosis" oxymoronic? You can study stuff without partaking in the subject. Wow, propaganda at its best. Did the researchers bother to ask the concerned scientists, if they changed their attitude towards religion after entering work at the top university? If anything, the study's finding should have been that working for an employer who does not pressurize you to join cultic ceremonies, act as and pretend being a believer protects your mental system's immunity against religious delusion.